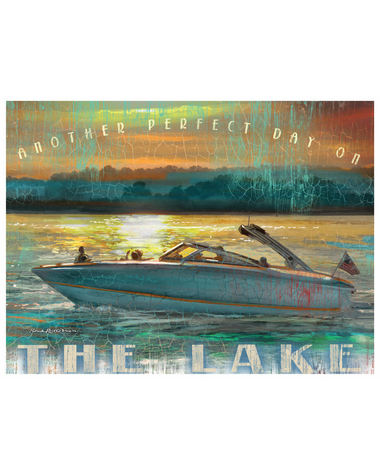 Colorful art with a speed boat idling across a tranquil lake at sunset. We think that it looks like a Sea Ray boat, but suppose that it may any one of many makes. 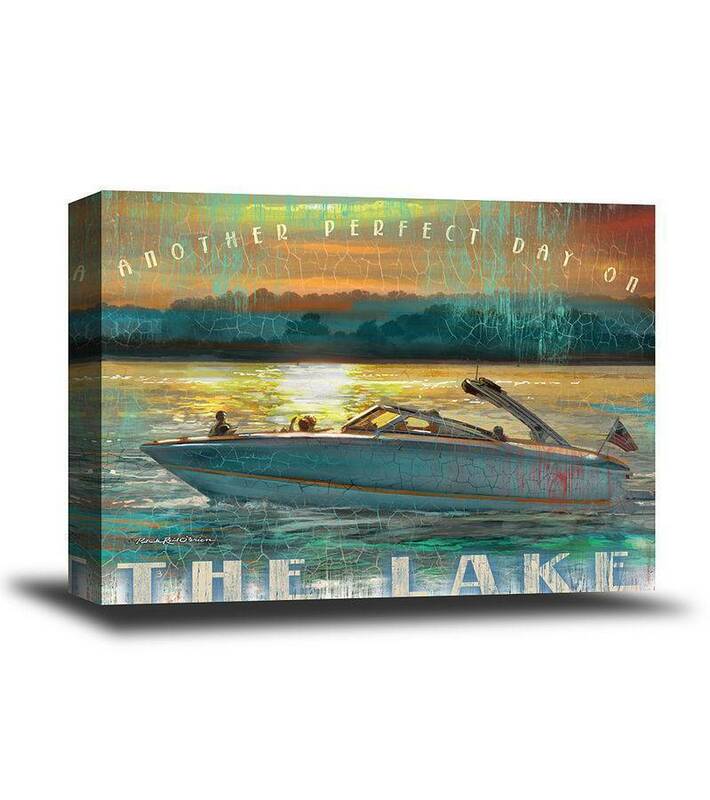 The phrase "Another perfect day on the lake" appears on the work. 18" x 24" Gallery-wrapped Gicele Canvas, stretched over a wood frame. 38" x 14" Gallery-wrapped Gicele Canvas, stretched over a wood frame. 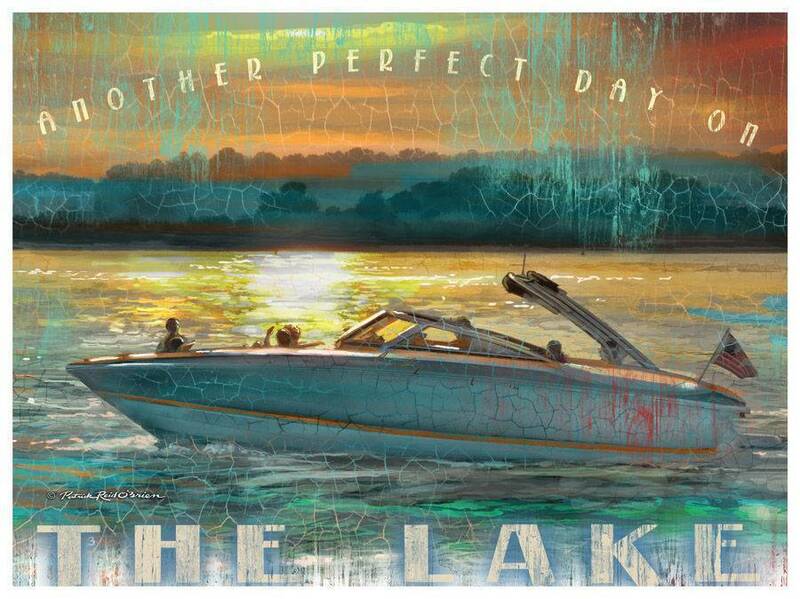 24" x 32" Gallery-wrapped Giclee Canvas, stretched over a wood frame. 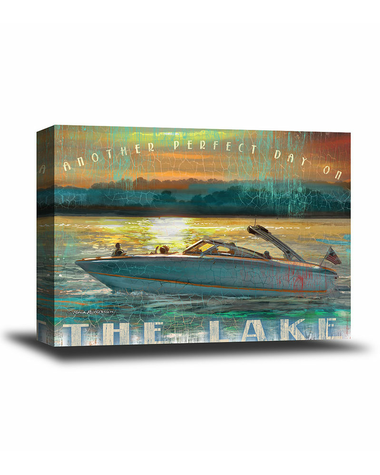 The 24" x 32"canvas art ships directly from the artist in three to four weeks. The other sizes are stocked for immediate shipment.